In June 2018, the revised Australian Standard AS 3600 (Concrete Structures) was released. An amendment was made to the Standard in 2018 to pick up some issues which were not properly covered in the original version. In May 2019 AS 3600-2018 (including any amendments) will be called up in the NCC. 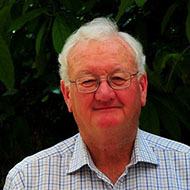 John has over 50 years’ experience in the building industry in Australia and overseas, having worked in Melbourne with Milton Johnson and Partners, London with Taylor Woodrow, in Adelaide with John Connell and Associates/ Connell Wagner / Aurecon before becoming the principal at his own practice, J Woodside, in 2001. John was on the code committee BD/2 for AS3600 from 1986 until 1998 and is still on subcommittees associated with the standard. John was elected an Honorary Member of the Concrete Institute of Australia (CIA) in 2005 for his services to concrete and awarded the Lewis Kent Award in 2011 by the Institution of Structural Engineers for his outstanding contribution to structural engineering in Australia. In 2006, he was awarded the John Connell Gold Medal by EA for his outstanding contribution to structural engineering and eminence in consulting engineering in Australia and overseas, as a Principal of Connell Wagner.